Meg Peterson is a Chicago-born, London-based artist, curator, project director and educator whose work has taken her around the globe to use art as a means of sharing ideas, connecting people and improving communities through projects, programmes, workshops and exhibitions she designs and implements. After working as a teacher in the US, Ghana, Italy and the UK for six years, she founded 21 Artists, a project that focuses on art and social change through arts-based interventions, social impact evaluation and community consultation. She completed her doctorate in September 2018, focusing on how entrepreneurship can be a means of unlocking opportunity through artistic innovation, social change, institutional development and economic prosperity. Her artwork consists mostly of portraiture- as a means of documentation and celebrating people from all walks of life. 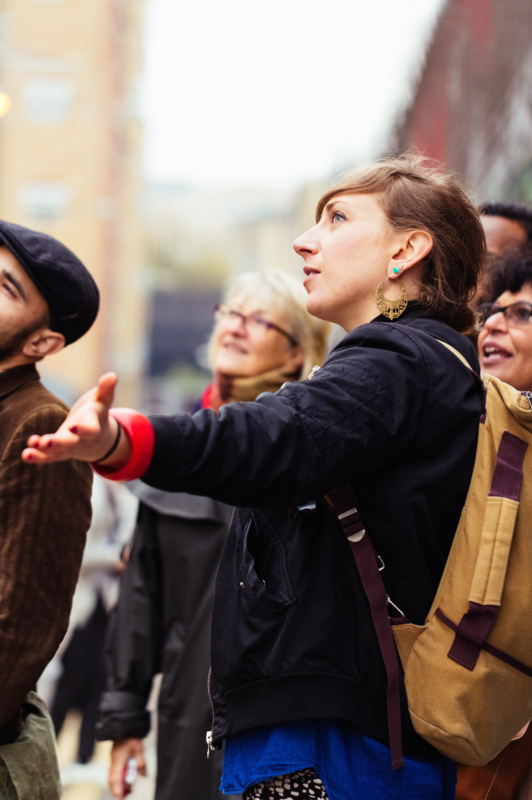 In her work as a curator, she is interested in how art can be a means of not only beautification in the public realm but also as a way to improve opportunities for local people to build skills, come together and improve the economic and social value of their neighbourhood from the inside out.